November 11, 2016College Bound Children? Want to receive free updates, news, and special offers? Sign up now! PELofLA is currently re-developing its Website in order to offer more Programming Online and we thank you for your patience. 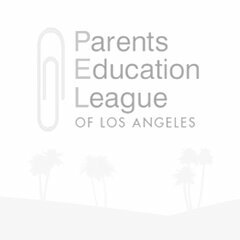 The new Web-Based format will allow you to access PELofLA courses regarding Preschools and K-12 Education anytime, anywhere. In the meantime, please join our Newsletter to receive updates on our future Live and Online Events, as well as other educational happenings in the Los Angeles area.